Invigorating customer interaction – year round! 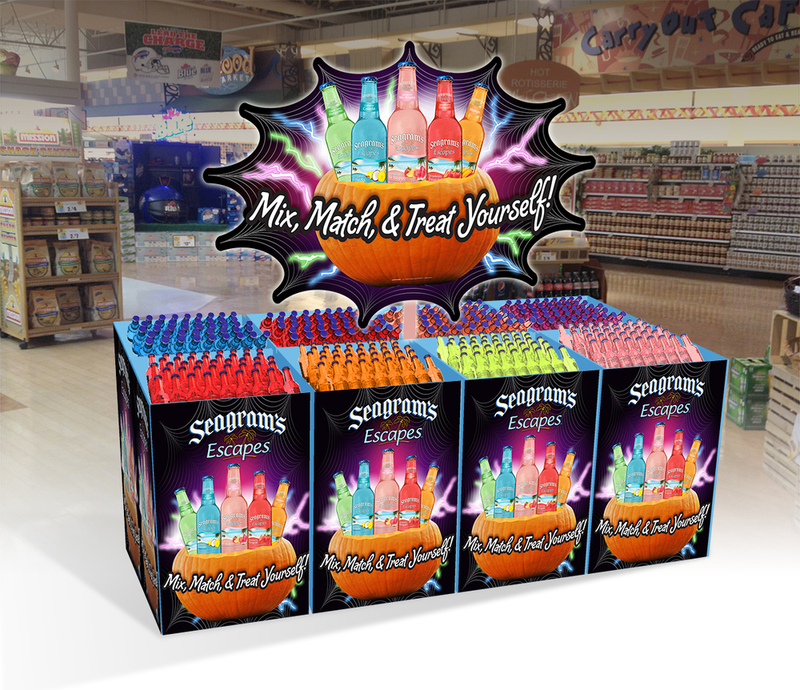 Seagram's Escapes has trusted Mirus Group for years for label and packaging design as we brought our experience in the adult beverage industry to the table to develop truly appealing packaging. And we have also been privileged to inject some disruptive creative into their in-store displays as well. 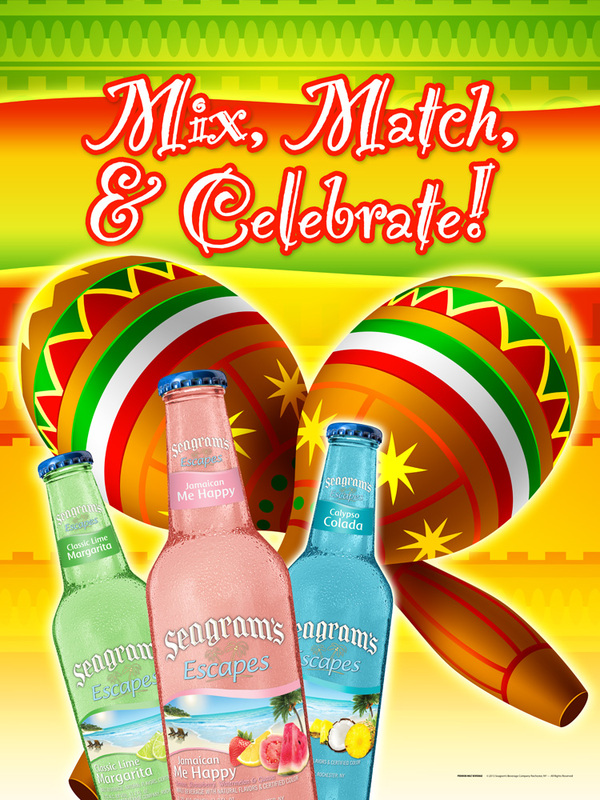 Seagram's Escapes flavored malt beverages have been a stable success story with their target demographic. We recognized a tremendous opportunity to invigorate brand awareness in an increasingly competitive marketplace. It's crucial for well established brands to engage uniquely with customers to avoid market stagnation. 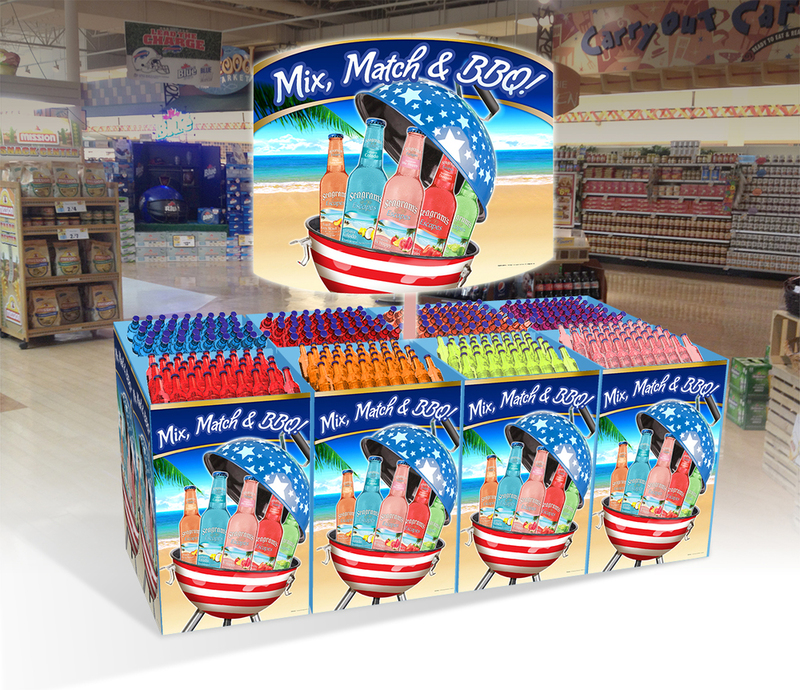 Mirus Group developed – in a very short time frame – an entire year's worth of POCM (Point of Contact Marketing) for in-store displays. All major relevant holidays received brilliant, impactful marketing to disrupt shopper shelf-blindness and excite consumers during demographic-relevant seasons and events. 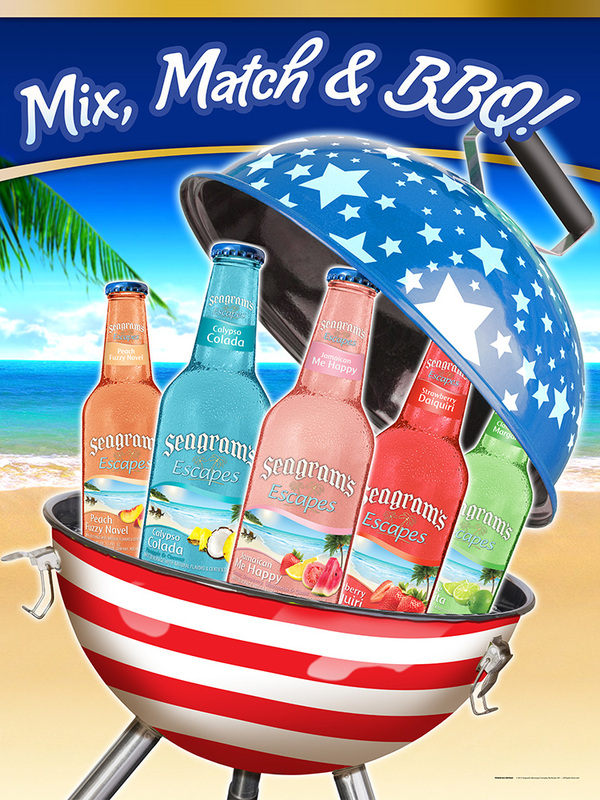 Seagram's Escapes 10-for-$10 program now had tangible strategic marketing support. A secondary – but crucial – goal was to excite distributors to buy in to a year-long program of market revitalization. When our marketing plan and point of sale graphics were presented at a distributor conference, the excitement was palpable and the feedback was incredibly positive! 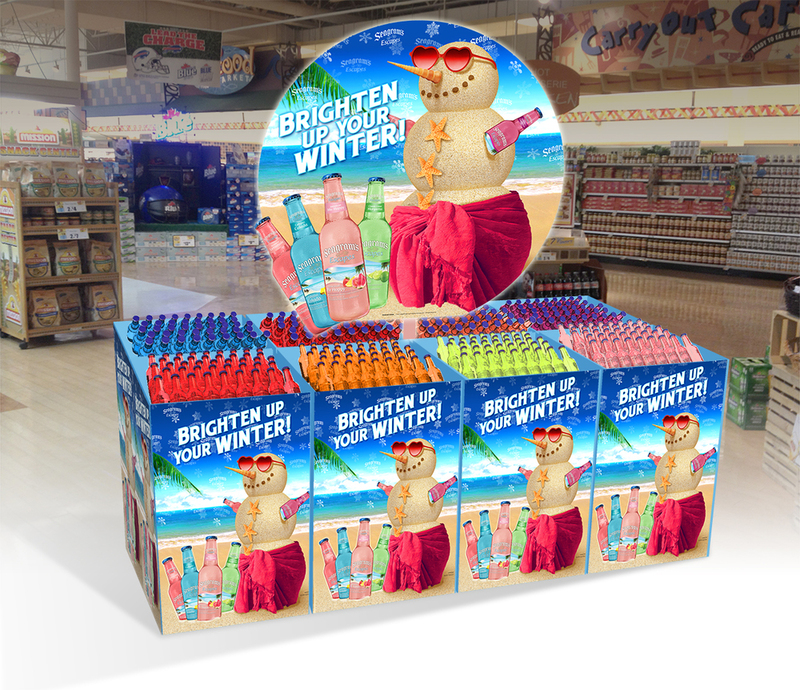 As a result, distributors received an entire year of versatile advertising in one simple-to-deploy brand package, and consumers encountered enticing, relevant marketing that encouraged consumption and helped to dramatically drive sales. 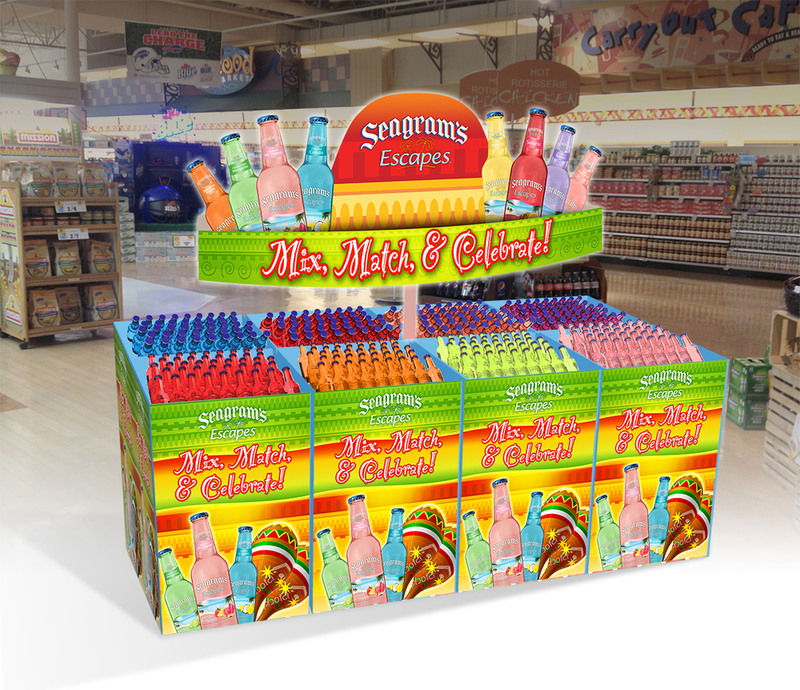 Mirus Group has worked with Seagram's Escapes on a full range of marketing, from internal communication, growth maps, sell-sheets and annual reports, to consumer advertising in the form of packaging and label design, copywriting, illustration, posters, a huge variety of engaging in-store POS and POCM, and website design. We're proud of this success story, and thrilled to work with such a bright and varied brand! We can help invigorate your established product line and innovate customer interaction while maintaining utmost respect for your brand heritage.